The Outdoor Leadership/Institute of Sport and Adventure course run at the Otago Polytechnic is again offering us some places on outdoor pursuits training: 30th May, 11th June, 12th June, 27th June and 28th June. Students will go in groups of 7-9 and we'll decide upon the days they go and the groupings based on the school time table. There are limited places so it will be first in first served. As there will not be any DNI staff members present we reserve the right to not offer places to students who present behavioural concerns. This year there will be a Board of Trustees election nationwide. We will be holding our election on June 7, with the results published on June 14. There are five (5) parent board trustee positions on the DNI Board of Trustees, and all of these positions will be open for nominations. The DNI Board of Trustees agreed to move to staggered elections this year, so three (3) of the parent trustee positions will be for a three (3) year term, and two (2) will be for an 18 month term to initiate this change. Nominees will need to state which election they will stand in. There will also be one staff trustee elected for a three (3) year term. The Returning Officer has been appointed and will officiate the election process. Nominations will be called, and information will be sent out to all parents of students in our school and those of Year 6 students from our contributing schools. If you are considering standing for the election have a look at this link for information. The NZSTA (NZ School Trustees Association) is running training for potential trustees via their Kōrari programme. 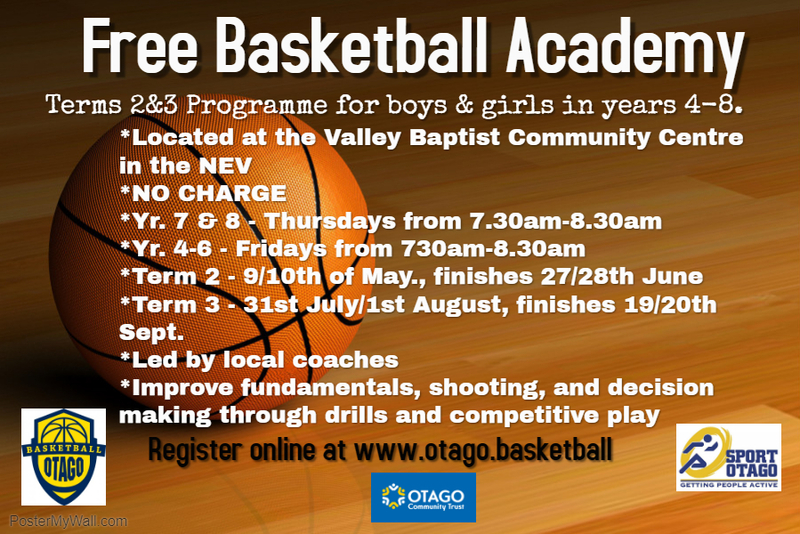 Free workshops will be held in Dunedin. If you are interested in attending, please register via this link. Our amazing kids have been busy again! Kahu R16 has been selected for the Southern United Junior Academy for Football. Well done. Manaia R13 went to the South Island Athletics Championship at the end of March. He did very well in his age group races. He's too young to progress to National Champs, so this is the best of his age group in the South Island! 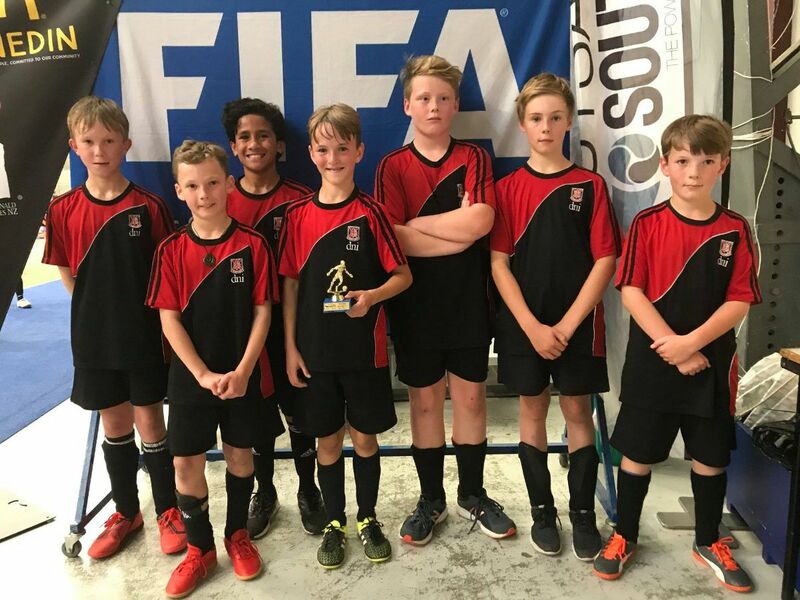 Our Futsal teams have finished for the Term. Congratulations go to the DNI Panthers (left) for coming 1st in their division, DNI Dynamites for coming 2nd in theirs, and the DNI Strikers, Diamonds and Jungle VIP's for coming 4th in their divisions! 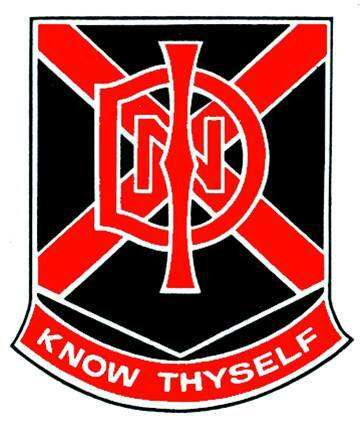 Then there's DNI Black Waterpolo Team (below) who won Division B of the Term 1 Waterpolo competition! They convincingly beat their opposition in the final 12 - 1. Awesome! 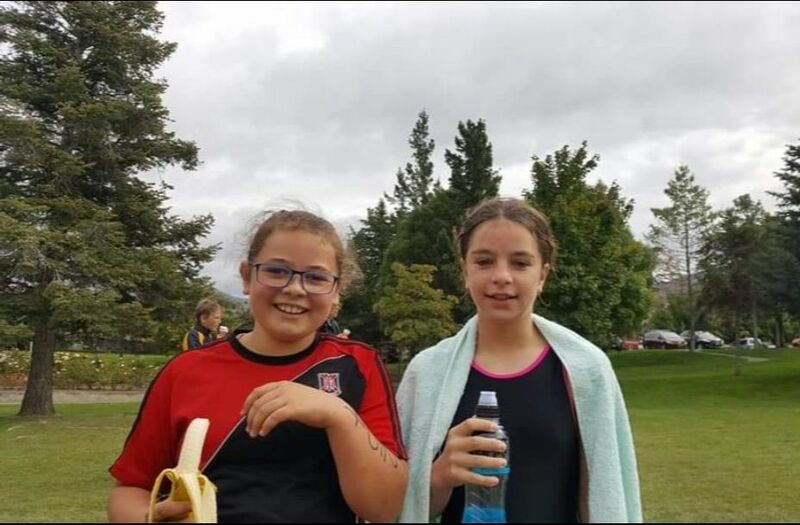 Congratulations also go to Sarah and Aimee from R16 (right) for placing 11th out of 16 Year 7 girls teams at the Otago Primary and Intermediate Triathlon in Cromwell. This is an incredible achievement for a duo competing in a three person event! The New Zealand Educational Institute has called further paid union meetings in May 2019. Following on from the previous meetings in 2018, there are still significant challenges for us in terms of recruitment and retention of teachers and it is therefore vital that teachers contribute to the planning around how to better resource education in New Zealand in the coming years. The Board of Trustees have decided the simplest method for our teachers to attend the meeting without disrupting classes all week, is to close early on Thursday 9 May. Therefore, we request that children be picked up from school at 2pm on Thursday 9 May. 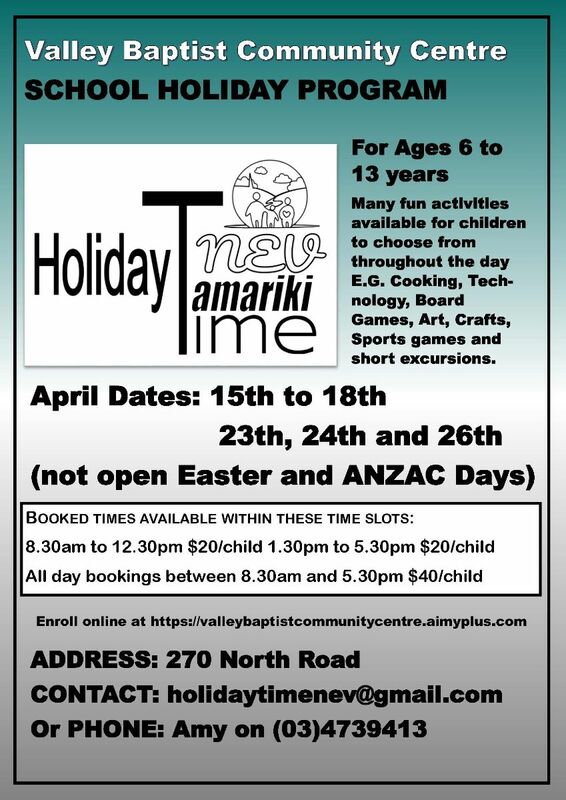 If you are unable to pick your child up at 2pm, please email annem@dni.school.nz by Tuesday 7 May and supervision can be provided until 3pm. Yoga will be running again in Term 2, from 12.30 - 1pm each Tuesday and Friday for 5 weeks beginning Wednesday May 8th. The cost for the 5 week block is $40. A free trial class will be held Tuesday 30 April. Classes begin with a warm up game or activity followed by some themed physical asana/poses, and finish with a breathing exercise and relaxation. Over the 5 week block the children learn some mindfulness theory and exercises, and have the opportunity to discuss how thoughts can affect our physical bodies and frame of mind. The classes encourage group and partner cooperation as well as individual practice. There is a special opportunity for two students of DNI to learn the tuba from Dr Errol Moore who teaches brass in a number of primary and secondary schools and leads the Albrassclass programme. There would be a weekly lesson at school starting Term 2 and these would be free for the first 4 weeks while the child explores the instrument and gets used to practicing at home ($10/week after the initial 4 weeks). If you would like a humorous look at what the instrument can do after 10 years hard practice or so have a look at MNOZIL Brass (https://www.youtube.com/watch?v=_cf2x3nqKaM) for some extraordinary playing.